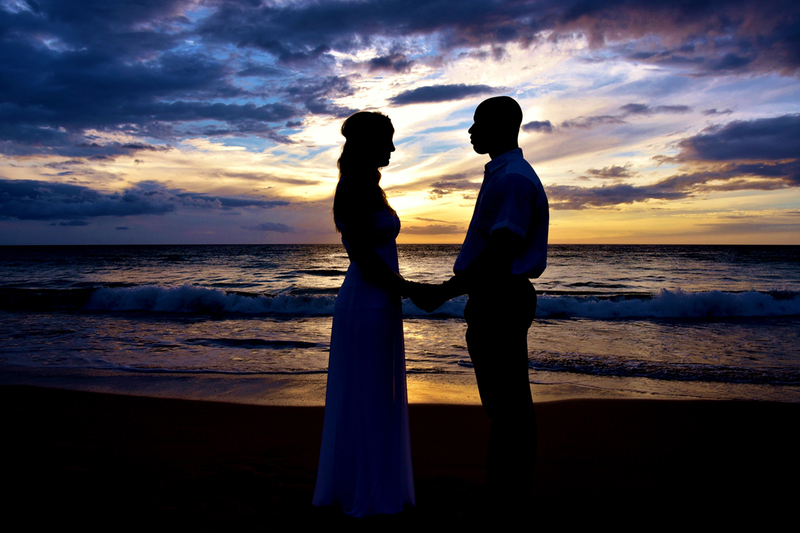 Courtney & Chris pose at Hapuna Beach for a beautiful sunset silhouette. Wow! Great ideas! I got married in Sri-Lanka last year. My husband-to-be made a great present for me - a wedding package for only two of us ( http://7.agency/destination/sri-lanka ). I`m thankful to my hubby for the unforgettable wedding day!